The thousand plus smart's sitting lonely at the dock's here in Halifax is the first sign that something is wrong at smart Canada. Dealers were not told of any issues when orders where places and even when the very first batch of cars arriving into the country dealers where kept unaware of any issues. Only shortly after the arrival of the 2008 smart (end of October) did smart Canada say that there was an issue, but blamed it on Transport Canada not getting paper work processed quick enough. This maybe was believable for a few days, but weeks went on and I myself even saw Transport Canada approval stickers on the 2008 smart's at the dock so really questioned this reason. There was even more wild speculation of why the cars have been delayed by over 1 month, ideas from a rebate issue, actual Transportation Canada issue or smart International simply holding thing up till the US smart was ready. "I'd like to update you on the smart situation. All vehicles currently on ground in Canada require a new SRS control module before delivery. Units at VPC will all be reflashed starting week of Dec 3rd and released. In order to reflash the units already at your dealership (including the launch units), you will receive (next week) new SRS control modules which must be exchanged with the new version control module before the unit can be RDR/delivered. Please discuss with your Service & Parts Manager to ensure they are aware of the shipment & aware of the labour required. Control modules will be delivered free of charge and in the event you issue a warranty claim, you can only charge the labour. Work instruction are presented in WIS, with document number AR91.60-P-0623MCU, if a you require additional information, please call technical service. Important: Next week, our National Sales Department will announce the date you can start deliveries. Do not RDR/Deliver any smart until this notice. Please keep this info confidential between Sales Managers and Fixed Ops managers until we announce delivery dates. " While I can understand smart Canada wanting to ensure the public didn't hear about a safety issue related to the smart as people already fear they are unsafe, but those who believe in the smart have been hit a little hard with all this smoke and mirrors. Not to mention the fact people who've bought and paid for their smart are still waiting on deliver which should have happened over a month ago. It would be very disappointing for smart to launch publicly this way, but luckily the media attention is focused on the US launch of the smart and what happens here in Canada doesn't really take much notice. 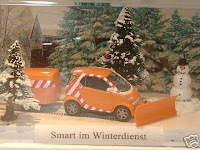 Now if something should delay the US launch of the smart, especially something related to the safety it would most defiantly cause some negative effects, so lets all hope the US launch goes smoothly all all those smart's here in Canada can spend a white Christmas with their new owners. 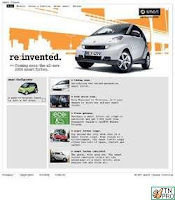 Follow-up on this: There has been some other International news ( http://uk.biz.yahoo.com/22062007/323/daimlerchrysler-recalls-smart-cars-faulty-steering.html ) on a recall of 1,650 smart's but smart didn't disclose where/which country received these recalled vehicle, but it could be Canada as the number is very close to the number of smart's at the dock & en route to Canada. 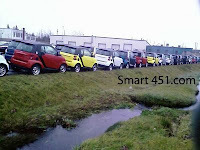 This could further delay the Canadian smart's or worse yet delay the US smart's if those are the models effected.